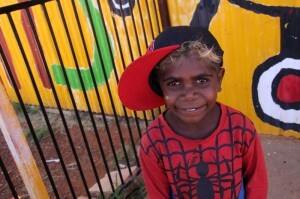 Warakurna Artists supports artists from Warakurna and Wanarn communities. Its programs contribute greatly to community wellbeing and pride. Maintaining all of our programs and projects is costly and requires financial support from a range of government, corporate and individual sponsors. Your donation will make a significant contribution the artists of Warakurna and Wanarn communities, with all donations going to our extensive creative and cultural programs. If you would like more information or like to make a donation and support our projects please contact us click here. Warakurna Artists Aboriginal Corporation is a PBI (Public Beneficiary Institution) and has DGR (Deductible Gift Recipient) status. Any donations over $2 are tax-deductible. Please note that donations of $11,500 or more may be subject to disclosure to the Australian Electoral Commission under the Commonwealth Electoral Act 1918.